The Storey Treehouse is a book series written by author Andy Griffiths and illustrated by Terry Denton. Andy Griffiths is one of Australia's most popular children's authors. 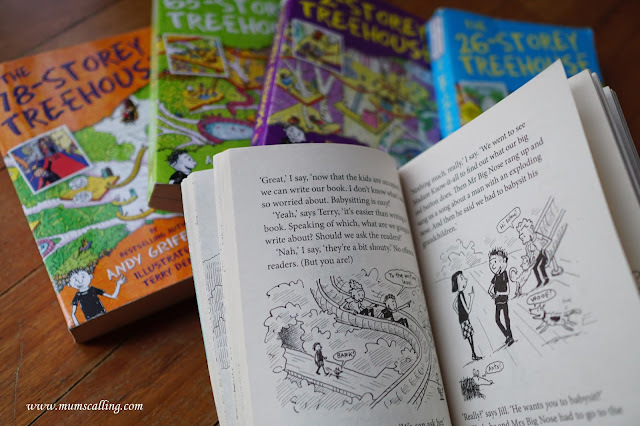 His award winning treehouse series is published in more than 30 countries since 2011. To date, there already 7 books published. "Terry and Andy are the owners of this amazing treehouse. Their treehouse has a chocolate waterfall, lemonade fountain, bowling alley, see through swimming, automatic marshmallow machine and many awesome features you can imagine. This treehouse definitely sends every boy and girl green with envy. 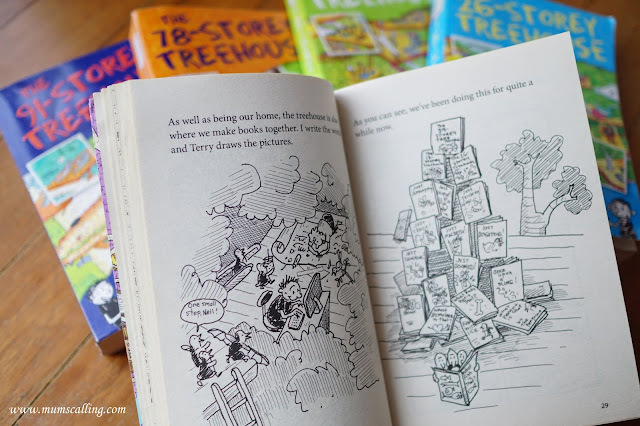 Terry and Andy make books in this treehouse. They go on plenty of wild adventure while struggling to get their books to their nosy publisher boss, Mr Big Nose. With help from their friends and machines, they always manage to get the book to Mr Big Nose's office on time. 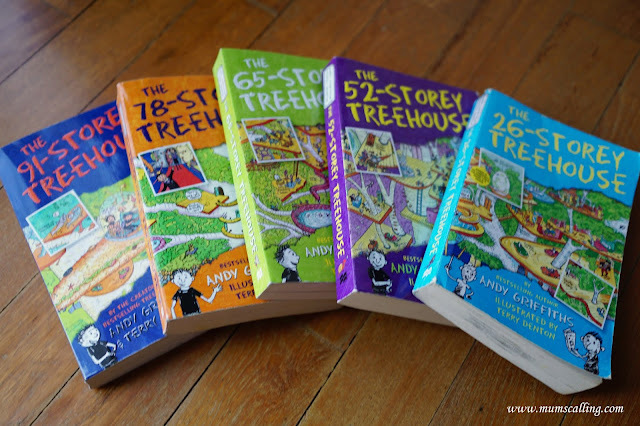 This many storey treehouse is never dull! You will definitely wish to live there too." Andy Griffiths and Terry Denton's fantastically funny Storey Treehouse series is told through a combination of text and cartoon-style illustrations. Plenty of illustrations. It is light and of good fit for any emergent readers, or any child who needs a coax to reading. It is a great introduction for kids into the world of chapter books. Though it looks rather large at 200 to 300 pages, they are full of illustrations, and there is never a page filled solely with words. If your child loves Diary of a wimpy kid or Captain underpants books. He will love this series, also filled with intense humour. Here is the good news for Andy Grirriths fans, or little ones who want to know more about his books. 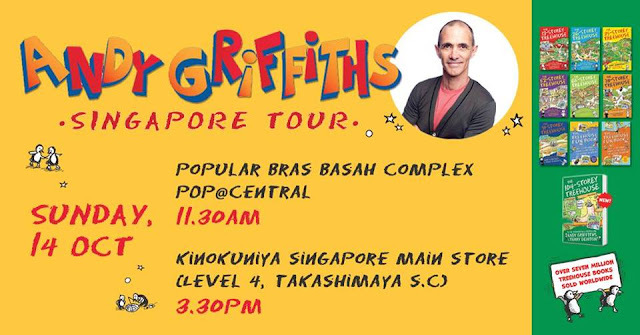 Andy will be in Singapore to share about the 13 new levels added in the 104-storey treehouse! Join him for a time of 'treehouse tour' and be the first 50 to receive a goodie bag. We have a set of Treehouse Fun book 1 and 2 to one giveaway to ONE winner. 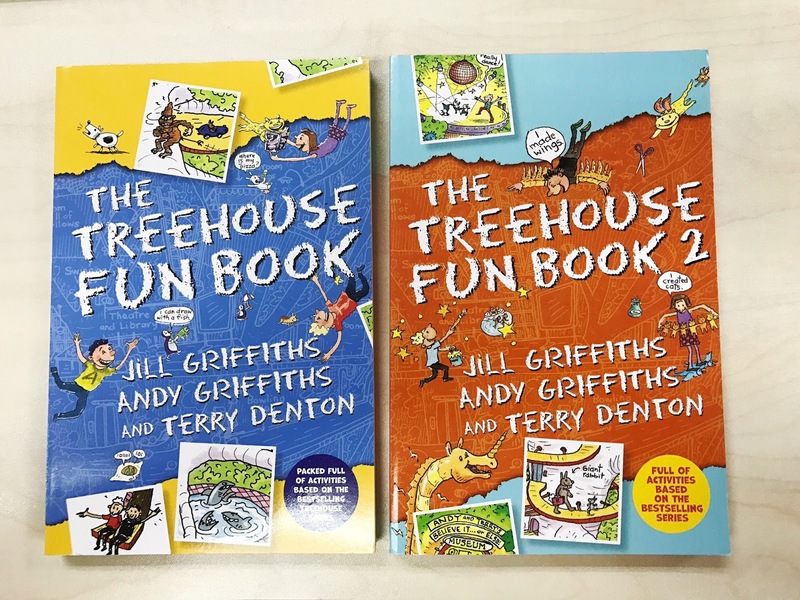 These fun books are filled with activities like creating your own treehouse levels, imagine some amazing ice-cream flavours, spot the difference, find your way out of the Maze of Doom and answer treehouse trivia. Good fun to keep your child quietly occupied. To win a set, simply hop over at our Instagram account @mumscalling for easy entry details. Disclaimer: We were blessed with 2 books for the purpose of this review. All opinions are solely ours.